Dow sank 276 (finishing at its lows), decliners ahead of advancers 4-1 & NAZ fell 52. Banks led the markets lower with the Financial Index falling 7+ to the 181s. However it still had gain of 30 in Oct. The MLP & REIT indices fell 1+, but each had an outstanding month. Junk bond funds slipped fractionally & also had an excellent month while Treasuries rallied today with falling stock prices. Oil dropped as the dollar climbed & equities fell, trimming the biggest monthly gain in more than 2 years. Gold fell today & ended with a rather drab month, hanging in above $1700. European govs are running into initial resistance as they seek to use this week’s Group of 20 summit to turn early praise for their revamped crisis- fighting strategy into financial support. Talk & action are different. The G-20 leaders convene Nov 3, a week after euro-area authorities pledged to magnify the capacity of their rescue fund to €1T ($1.4T) & look beyond their borders for help in doing to combat the debt turmoil posing the biggest threat to global growth. While the help of China & cooperation of the IMF were immediately sought, pledges of hard cash are proving hard to come by. In an indication Europe may eventually prevail, Brazilian & Russian officials said their govs may be willing to provide assistance. The talks will cast the G-20 into another round of crisis resolution 3 years after its leaders first gathered to address fallout from the failure of Lehman Brothers. In a bid to revive that collective spirit, European Commission President Barroso & European Council President Van Rompuy wrote to G-20 govs to stress “a continued need for joint action by all G-20 partners in a spirit of common responsibility and common purpose.” They will work on results which may be a long way off. Thousands of Thai companies with factories have been swamped by record floods. They are calling on the gov to help ensure it never happens again as waters slowly recede north of Bangkok. More than 9B cubic meters of water released this month from dams filled to capacity have swept down a river basin the size of Florida, inundating 7 industrial parks that helped transform Thailand from an agriculture-based economy to a manufacturing hub since the first one was built 4 decades ago. The worst floods since 1942 have shuttered 10K factories, put 660K jobs at risk & caused damage of 140B baht ($4.6B), according to gov figures. Factory owners are concerned the disaster may repeat itself as water defenses fail to keep pace with the development of roads, housing estates & business complexes in Bangkok & its vicinity, which accounts for about half of Thailand's industrial output. Flooding affects electronics parts (such as disk drives) used in computers & auto parts, especially for major Japanese companies. The flooding is not getting enough attention, but could affect many companies around the world. Loews Q3 net income more than quadrupled, but the results missed expectations as investment income fell & catastrophe losses increased. Loews, CNA Financial (CNA) & Diamond Offshore Drilling (DO), EPS was 40¢, ahead of 9¢ last year but below 66¢ forecast. Adjusted to exclude one-time items in both periods, net income was higher in Q3 last year than this year. The decline was attributed to lower investment income & bigger natural catastrophe losses at CNA. Revenue fell 7% to $3.44B. Insurance premium revenue rose 5% to $1.7B from $1.65B. Net investment income dropped 49% to $333M from $654M & investment losses were $27M compared with a $62M in investment gains last year. The stock fell 1.58 (4%). Even with today's decline, Dow managed a 10% gain, or 1.1K, in Oct, hardly chump change. This qualifies as one of its best months ever. But selling at the close is not what the bulls want to see. In addition, adjustments by fund managers to square their books at the end of the month, make it difficult to understand what really happened in the markets. Confidence is high on European leaders using magic to fix the European debt mess. This week, the G-20 meeting will show how much resolve lies behind their words. The VIX, volatility index, shot up 4+ to almost 29, remaining elevated going into the new month. Nervousness is riding high after an excellent month for the markets. Dow fell 106, decliners over advancers 4-1 & NAZ is down 25. Banks are leading the way down, taking the Financial Index down 4+ to the 184s. But it's still having an incredible month, up over 30 from the lows at the start of the month. The MLP & REIT indices are each off a couple of points, but the Oct charts below shows that to be nothing more than routine profit taking. Junk bond funds are flattish while Treasuries in rally mode as stocks sell off. Commodities like oil & gold are also pulling back. It is reported that Russia is willing to help the EU deal with its debt crisis by investing up to $10B thru the IMF. Of course, European leeders are talking about more than $1T bailout money, so even this only represents token help. An economic adviser to Russian President Dmitry Medvedev, said that Russia could make the money available to prop up the eurozone as part of its activities at the IMF, adding that "European stability is important" to Russia. Russia is not ruling out providing direct aid to individual European countries but Moscow hasn't been approached about it. Emerging economies such as Brazil, Russia, India, China & South Africa have said they would be willing to prop up the IMF & the eurozone, but they also have insisted on a bigger role at the IMF. Talk is cheap, hard to evaluate how much this means. US companies are beating profit estimates for the 11th straight qtr, enough to revive a bull market that has the optimists claiming this is the start of a major rally. A total of 222 out of 298 S&P 500 Index companies that reported results since Oct 11 have exceeded forecasts for Q3. Price targets for companies in the index suggest the S&P 500 will advance 13% to 1,448 in the next 12 months. Of course, these are the same guys who revised estimates upward last Dec & that didn't work out so well. The advance since Oct. 3 has been led by companies & industries whose earnings are most tied to economic growth. Energy producers & materials companies have rallied more than 26% & financial firms are 55% higher. I'm not so optimistic about the future of the stock market. The biggest bond gains in almost a decade have pushed returns on Treasuries above stocks over the past 30 years, the first time that’s happened since the Civil War. Fixed-income investments advanced 6.25% in 2011, sharply ahead of the 2.2% rise in the S&P 500 Index. Debt markets are on track to return 7.6% this year, the most since 2002. Long-term gov bonds have gained 11½% a year over the past 3 decades, beating the 10.8% increase in the S&P 500. Traditionally stocks had risen more than bonds over a 30-year period. Stock market buils might want to look at this data. Even including today's setback, Dow is up about 1.2K (better than 10%) in Oct. This will rank as one of the best months in the history of the Dow. Markets liked the earnings reports, although I don't consider them all that impressive. The European debt mess drones on, far from being resolved. The supercommittee from congress will give its report shortly on reducing federal deficits & that has the potentiality of getting very ugly with both sides digging in their heals. But bulls are unconcerned & they're in charge, at least for the time being. Dow extended its rally gaining another 22, advancers ahead of decliners 5-4 & NAZ slipped 1. Bank stocks were down a tad (call that even). The MLP continued its Oct climb while the REIT index slipped a fraction to 234. Junk bond funds inched higher & Treasuries climbed on growing uncertainties about European debt plan. Oil fell, paring the biggest weekly gain since Feb, as a drop in Japan's industrial output prompted traders to lock in profits from the current rally. Gold declined from a 5-week high on renewed concerns that Europe’s debt crisis will hamper global growth, damping prospects for commodity demand. Hewlett-Packard will not spin off its personal computers unit. New CEO Meg Whitman had vowed a quick decision on an issue that was beginning to alienate its PC partners, investors & customers. But the future of WebOS software is uncertain & HPQ is still mulling the software's future, including if it should build a new WebOS-based tablet. "The question now before us is what do we do with WebOS software and do we come back to market with WebOS devices," Whitman said. "It obviously will not be the same device but it will be version 2.0." Meg decided to retain the PC group as the "numbers were incredibly compelling." Separating the PC unit would have cost the company $1.5B in one-time expenses & another $1B annually. The stock rose 1.04 (4%). 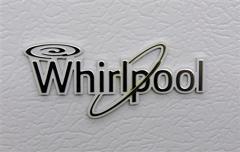 Whirlpool plans to cut 5K jobs, about 10% of its workforce in North America & Europe, as it faces soft demand & higher costs for materials. It also cut its 2011 earnings outlook drastically & reported Q3 results that missed expectations, hurt by higher costs & a slowdown in emerging markets. The company (Maytag & KitchenAid) has been squeezed by soft US demand since the recession & rising costs for materials such as steel & copper. Due to its size, WHR performance provides a window on the economy because it indicates whether consumers are comfortable spending on big-ticket items. To offset slowing North American sales, WHR has turned to emerging markets but those sales have slowed too. It now expects demand to decline 3-5% in North America. Latin America & Asia guidance were also cut. Q3 EP$ was $2.27 versus $1.02 last year. Adjusted EPS was $2.35, short of expectations for $2.73. Revenue rose 2% to $4.63B, below expectations for $4.74B. "Our results were negatively impacted by recessionary demand levels in developed countries, a slowdown in emerging markets and high levels of inflation in material costs," CEO Jeff Fettig said. Unit shipments fell in all regions except Asia, where they rose 4%.. The stock plunged $8.62 (14%). I know this sounds like a broken record, but this has been nothing short of a stellar month. Today, bulls kept the rally going. Just look at the Dow chart below. By last count, only 4% of the S&P 500 are down in Oct. That could be a record for the measure. But all is not well as employees at WHR found out. Now that the excitement about European debts is quieting down, more questions are being raised about exactly where will the bailout money come from. Even China has just so much. Then there is the debt mess in the US. That will heat up next month when the super committee gives its report & things could get ugly as both sides are digging in their heels. At the big picture level, bulls remain firmly in command. I'm not sure how long that will last. Dow was off 11, advancers 5-4 ahead of decliners & NAZ was also down 11. Banks stocks pulled back. The Financial Index dropped 1+ to 188 , after soaring 27 in Oct. The MLP index rose 1 to the 374s & the REIT index fell a fraction to 234 while the VIX, volatility index, was down a fraction, taking it below 25. Junk bond funds were mixed & Treasuries rose but their yields are still near 3 month highs. Commodities, like oil & gold, are also taking the day off with small changes. In Oct the Thomson Reuters/University of Michigan final index of consumer sentiment increased to 60.9 from 59.4 in Sep (above the preliminary reading of 57.5). Projections were for a drop to 58. Consumer spending increased 0.6% in Sep, matching the estimate, after a 0.2% gain in the prior month according to the Commerce Dept. Incomes rose less than projected, sending the savings rate down to the lowest level in almost 4 years. Merck Q3 profit soared from results a year ago that were weighed down by huge acquisition & legal charges & beat estimates. "Three consecutive quarters of top and bottom line growth demonstrate out ability to consistently perform while at the same time making the strategic investments necessary for the future," CEO Kenneth Frazier said. EPS rose to 55¢, up from a depressed 11¢ last year. Excluding acquisition & restructuring charges in Q3, adjusted EPS was 94¢, 3¢ higher than the 91¢ expected. Revenue rose 8% to $12.02B from $11.1B, below expectations of $11.6B. Revenue was boosted about 5% by favorable currency exchange rates. The company raised the lower end of its 2011 forecast, to a new range of $3.72-$3.76 ($2.03-$2.20 excluding one-time items). Analysts are expecting $3.73. Prescription drug sales totaled $10.35B, led by strong sales of Singulair, Januvia & combination diabetes drug Janumet, the HIV drug Isentress & the Gardasil & Zostavax vaccines. Singulair, it's top drug, saw sales rise 10% to $1.34B but US patent expires next Aug. The stock was up 64¢. Today is proof that stocks will not go up forever. Economic recoveries are sputtering around the world. The US one is so-so, Europe appears to be in decline & Asia will be hurt by the massive flooding in Thailand. The European debt mess has been put on hold, which is good enough for the stock markets. Buyers are not hindered by macro economic events, giving Oct one of its best months in history! .